Editor’s Note: Christopher Hill and I go way back. Back to the early ‘80s, in fact, to the early days of Record Magazine, a Rolling Stone publication I had created from scratch in tandem with RS founder/publisher/editor Jann Wenner. I don’t recall if Chris phoned or wrote me, but whichever it was, he inquired about contributing reviews to Record. At some point he sent clips of his previously published reviews. As I recall, I was about halfway through a review of an album of Celtic music when I gave him his first Record assignment. It was clear he was working on a level above the average music critic, blessed as he was with an engaging literary voice he employed in advancing a breadth of knowledge of sources, history and influences that underscored his sense of the music revealing more than what meets the ear. When I launched www.TheBluegrassSpecial.com in April 2008, Chris was the first writer I called. 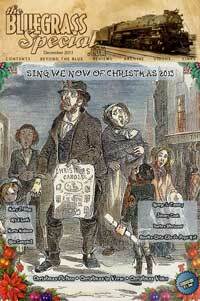 Indeed, he has done exemplary work for that publication and for its successor, Deep Roots. But as long as I’ve known Chris, he’s talked about writing a book that would examine primarily ‘60s rock ‘n’ roll from a deeper historical perspective than what was offered in other histories; something that would take into account not only the music’s cultural and musical antecedents, as far back into history as he could trace them, but also its spiritual foundations. Far from viewing these as isolated phenomena magically coalescing in the immediate post-war years, Chris always viewed them as having been forever bound together, going back into antiquity, until cultural tectonic plates shifted so dramatically as to produce something greater than the sum of those parts. Well, the book, the product of several years’ work, is here, published this month by Park Street Press. 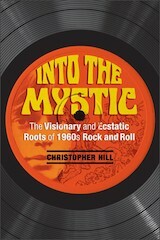 And what animates Chris’s vision in Into the Mystic: The Visionary and Ecstatic Roots of 1960s Rock and Roll, is, again, less what’s on the disc and more what’s in the souls of the ‘60s artists expressing visionary, mystical and spiritual influences in transforming consciousness “on both the individual and collective levels,” as stated in a Park Street Press promo piece. Improbable as it seems, given the familiarity of the music created by the Beatles, the Stones, the Grateful Dead, the Left Banke, the Byrds, Dylan, Van Morrison, et al., you may never hear their songs the same way again after reading Into the Mystic. In fact, I dare say, you will hear them in a more profound way than ever, even if you’ve lived with these artists’ music most of your life and thought you knew it inside out. The beginning of folk-rock was an attempt to realize the clear suggestion of a sound in some transitional lyrics of Dylan’s from 1963 and ‘64, in “Lay Down Your Weary Tune,” “The Chimes of Freedom” and “Mr. Tambourine Man.” Topical folk song had brought him to the point where he was beginning to feel something larger behind the isolated individual events that made the subject matter of his early songs. Now he was hearing something like a great music, in nature and in human events. The waves that clash like cymbals, the bells in the sky, the jingle-jangle morning: the lyrics are so evocative that, in memory, people sometimes think they’ve heard sounds in these songs—chiming, jingling, ringing—that aren’t really there on the record. The three principals of the Byrds—Gene Clark, Jim (later Roger) McGuinn, and David Crosby—were all coming out of a folk-revival background similar to Dylan’s. They were all about Dylan’s age. And like Dylan they were all listening intently to the Beatles. They felt a natural impulse, almost an invitation to translate Dylan’s poetic suggestions into a sound. 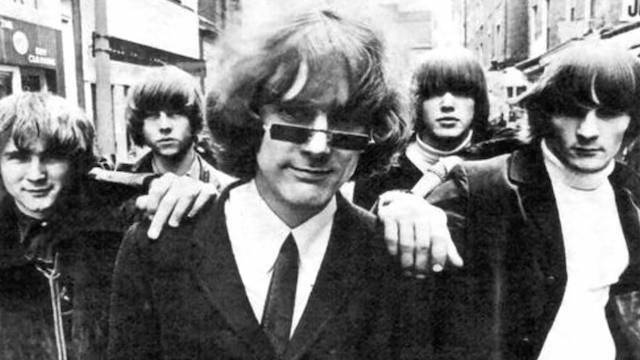 And so we come to the story of Roger McGuinn and his Rickenbacker twelve-string electric guitar. After seeing A Hard Day’s Night, the pop-happy young folkies who would become the Byrds went out and equipped themselves with gear like the Beatles used in the movie. McGuinn got himself a Rickenbacker 360, like George Harrison. When the Byrds as a group were eventually brought into the studio, they were very much looking for a way to give folk music the impact and directness of pop music, to bring out and foreground, make novel and almost shocking, that guitar-ness that had been the richness of folk sound. That they got this—largely via McGuinn’s twelve-string—was due to a combination of three things: the nature of the instrument, the style of playing, and the way it was recorded. A twelve-string, because of its doubled strings, gives each note a double ring, an immediate echo and resonance, almost as if each note harmonizes with or echoes itself. This creates a “jangle” sound, the sound of multiple metallic strikes happening almost simultaneously, adding up to the impression—especially if the player, like McGuinn, is playing lots of extended arpeggios—that you are hearing quite a lot of sounds in a narrow space. Even on an acoustic twelve-string, there is still a slightly metallic or ringing sound, rather jaunty and slightly antique, like bells on a horse’s harness, a bag of coins, or boots with spurs. Then there was McGuinn’s individual style. In contrast to other rock-and-roll guitarists, McGuinn played his guitar with the banjo fingerpicking style he learned as a teenager at the Old Town School of Folk Music in Chicago. He held a flat pick while also wearing metal fingerpicks. It didn’t sound like a banjo, but McGuinn’s arpeggios had the spring and dance of banjo strings. In Gene Clark’s “I’ll Feel a Whole Lot Better” from Mr. Tambourine Man, David Crosby on rhythm first sets up a chord pattern that will become the framework on which most folk-rock will from then on hang. Then McGuinn’s Rickenbacker falls on it with a feeling of sheeting or cascading, like a great bag of sleigh bells bursting open. And when the break comes, McGuinn steps up to show the world the astounding thing that can now be done with traditional folk-style fingerpicking, an intricate needlepoint embroidery of metallic sound that curls around the rock-and-roll beat that comes from American tradition but has the power of an LA garage band. It’s poignant, hopeful, and graceful (there Protestant hymnody not too far under the surface) but also kind of wild and delirious: no one had heard anything quite like it. The Byrds and Dylan were reaching toward something that untransformed folk music could not express. Electricity was necessary to develop the implications of “The Chimes of Freedom.” It was necessary to give the chimes an audible form. The electricity of the folk-rock of Dylan and the Byrds was both literal and metaphorical lightning, and it had a both a literal and metaphorical effect. The immediate sensory impact was the life and power it gave to the songs. The metaphorical, poetic impact was that it opened the door to prophecy. The electricity of “folk-rock,” like the lightning in the “Chimes” lyrics, is the heavenly part, the part from above rationality that had to descend into Dylan’s topical music, to open it up. Standing on the stage at Ciro’s on the Sunset Strip with the Byrds, looking at the dancing crowd, Dylan could see how powerful the lightning was when it was not merely evoked in words but brought down physically into the music. What he could see in that crowd was an opening to contest the allegiance of the country’s imagination. When the chips were down, the East Coast folk-music community didn’t have the vision or the power to attempt something like that. Their goals and tactics were modest and rational. Underneath their radicalism, many of them felt that all that was really necessary was to preserve and curate the traditions, to get folk songs into grade-school music classrooms. But when it came to a revolution led by teenyboppers–like the kids dancing at Ciro’s–rather than Cambridge and Manhattan bohemians, well, they weren’t so sure. Folkies may in theory have admired the idea of ecstatic revolt—they’d read Rimbaud and Ginsberg, after all—but it became clear from their affect as the 1960s progressed that they were dealing with something they didn’t really trust or wholly endorse. 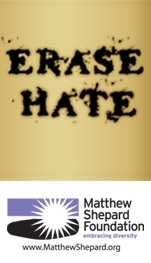 East Coast radicals sought progress, a transfer of power, but not a crack in the world. No, the place to have the fight for the nation’s imagination was California. While it was the culture of the East Coast—rogue Ivy League academics, eccentric Episcopalians, renegade establishment scions, CIA tricksters, raving beat poets—that in a sense thought up the sixties, when it came to putting it into practice the West was the only place that was still open enough. California’s rootless and seeking population, its anomie-struck youth, could be revolutionized. Out there on the western rim, loosely moored to the rest of the continent, vibrating at a slightly higher frequency, California was the burned-over district of the twentieth century. For the enterprise to succeed, the new music had to be on the lips and in the hearts of millions. That meant electricity and hit records. And in California that was starting to happen. When Dylan sat in with the Byrds at Ciro’s, his army was taking shape on the Strip outside the clubs, as a new youth culture began to gather for the first time, drawn by his songs played on McGuinn’s Rickenbacker. The project was to ride the tiger. (Excerpt from Into the Mystic: The Visionary and Ecstatic Roots of 1960s Rock and Roll by Christopher Hill ©2017 Park Street Press. Printed with permission from the publisher Inner Traditions International. 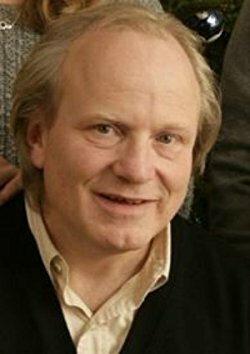 Christopher Hill also is the author of Holidays and Holy Nights: Celebrating Twelve Seasonal Festivals of the Christian Year [Quest Books, 2003]).